Grout Sealing is a fantastic service we offer at The Grout Specialist that goes hand in hand with Grout Cleaning. Once your grout has been restored to a as good as new condition, our Grout Sealer will help maintain its pristine state for a longer amount of time. The sealant acts as a layer of protection against dirt, grime, cracks, and discoloration. 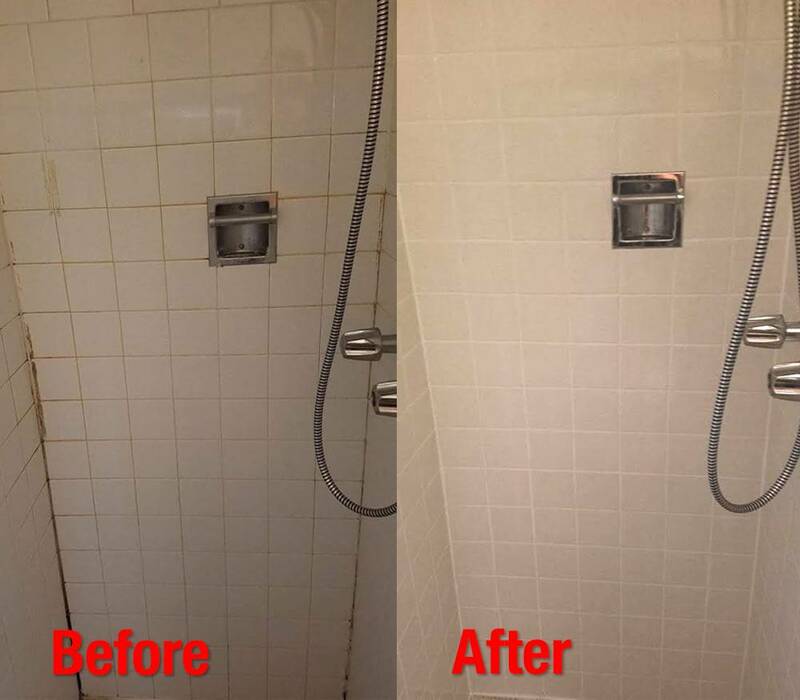 Once in place, our customers notice a drastic improvement in their grout’s resistance to filth. One of the best parts of this service is that it can be performed immediately after your Grout Cleaning. That way, you won’t have to worry about scheduling another appointment and risking any possible damage that may be done to the grout during that time. Just sit back and allow our professionals to take care of the job. You may be wondering how our sealant can protect your grout from deteriorating so quickly. Because grout is porous, dirt and grime is easily trapped within it and is nearly impossible to remove without the use of professional equipment. Our grout sealer applies a layer on top of the grout, filling most of those pores and making it more difficult for dirt to be absorbed. While the grout will still be exposed to the same contaminants, it will not be as affected as unprotected grout without sealant. Stains, mold, and mildew are also common worries when maintaining grout. With The Grout Specialist Grout Sealing, the visibility of stains are greatly reduced. Because the grout pores are glazed over, discoloration will not run as deep into the grout and be much easier to clean. As for the humidity factor, moisture also does not absorb as easily as before, reducing the risk of mold or mildew build up with our grout sealer. With all of these advantages, a homeowner would be foolish to leave their grout unprotected. Pair up your next Grout Cleaning session with our Grout Sealing services and enjoy your clean grout for longer than ever before! At The Grout Specialist, we believe in finding the best, most cost effective solutions to keeping your home looking its best. Call us today at +1 (720) 517-8041 or click here to schedule your consultation.